The concept of Tinkergarten is simple: early childhood learning through group play outside. For me, the magic piece is that the nationwide parent-child classes are outside, in all but extreme weather conditions, allowing room to discover all the possibilities that the outdoors bring and connecting children with our environment. 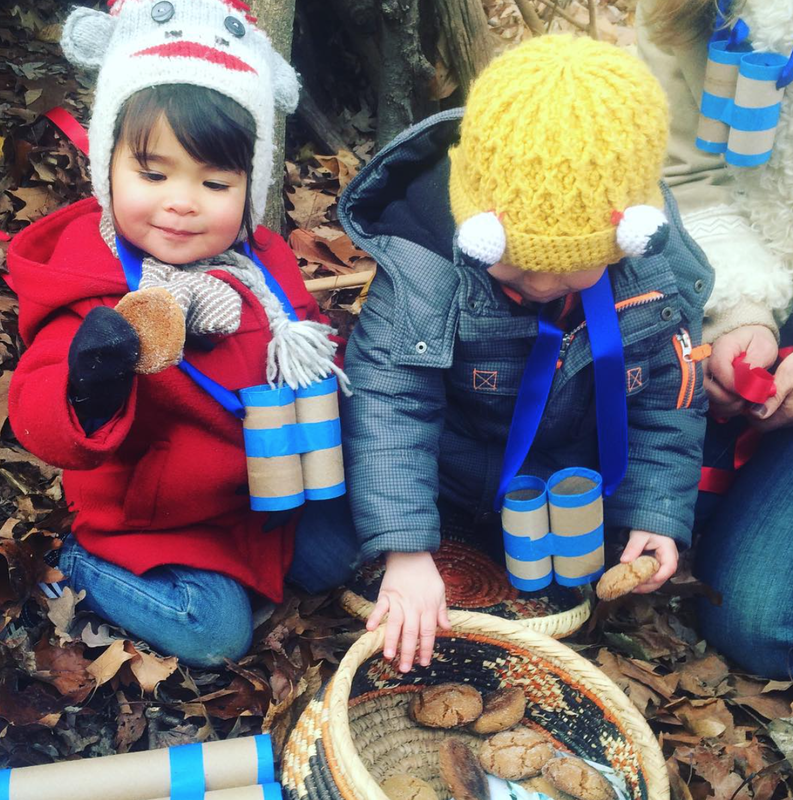 Tinkergarten shows us that learning doesn't have to be in a classroom full of bought supplies...learning can be in nature's classroom with all the supplies you need right around you. Tinkergarten encouraged our family connect with nature on a new level. 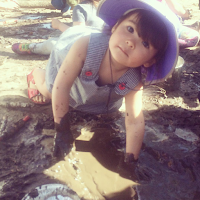 We now not just enjoy nature as a beautiful thing, but we also see nature as full of resources for fun and learning. 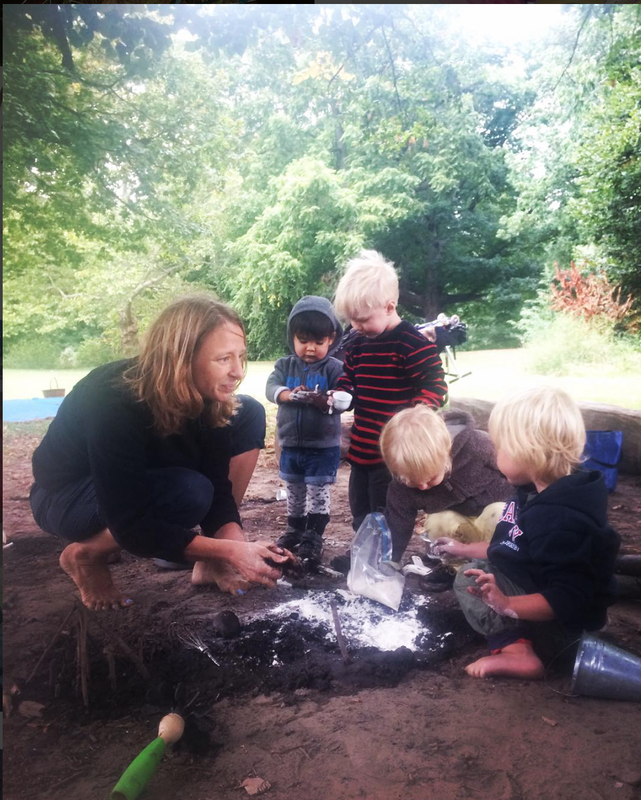 Through its simplicity, Tinkergarten changed our perspective for the better and has given our family a lifelong gift. This is the third day in a week of shout outs and thank you's to outlets that have improved my life and my family's life. (see Day 1 and Day 2) I wanted to do my little bit to recognize companies that are trying add value to this world and do good business at the same time. In a world where it's extremely hard to tell what's authentic and what's all facade and in a period where manipulation and deceit are standard business practices, I can't tell you how much I value authenticity, positivity and substance. These things are hard to find and I latch on when I do. 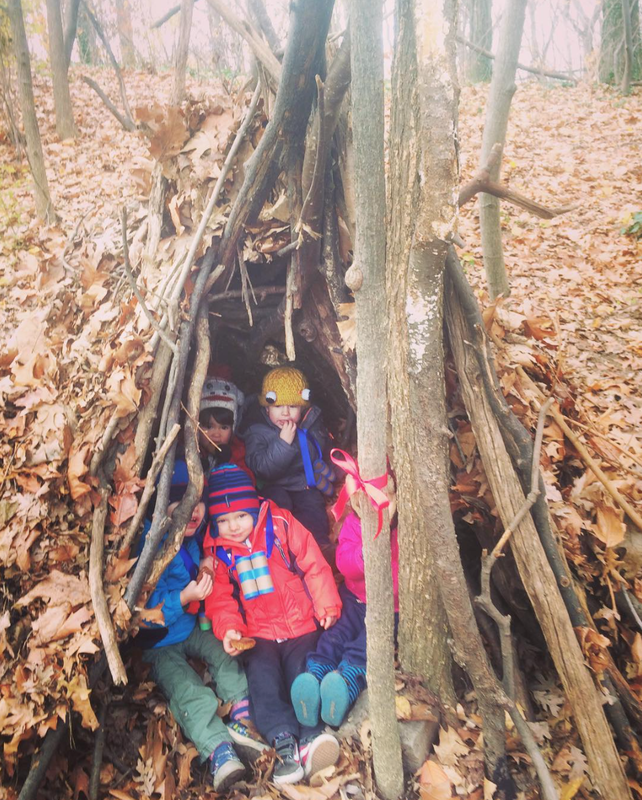 We live in New York City, but Tinkergarten helped my kids connect to nature in a way that I never did growing up in the suburbs of Atlanta. Every season and weather condition offers its own unique opportunities and resources for play and learning. 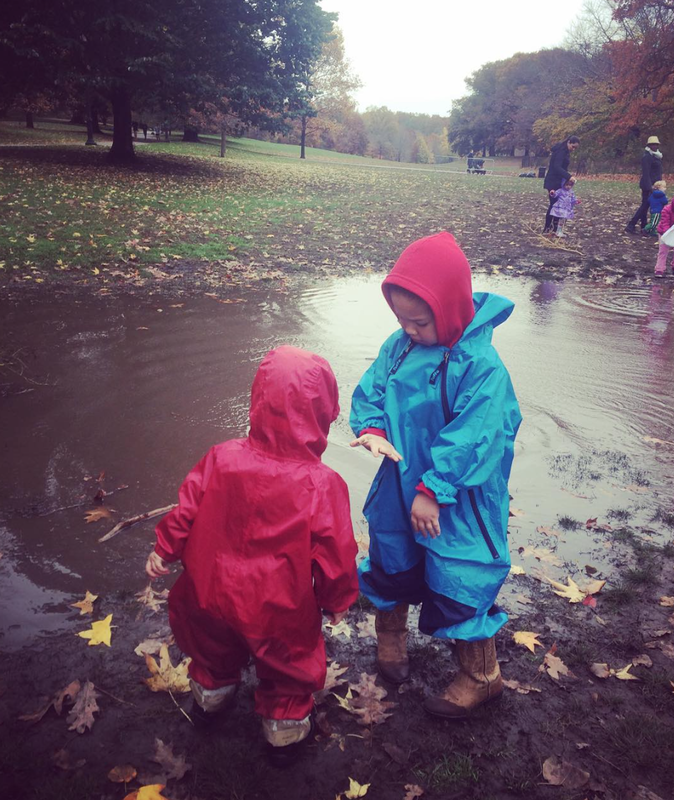 You can build a quinzhee in the snow, you can make a nature crown of fallen leaves, you can make mud pies after the rain, you can make wind socks in the wind. 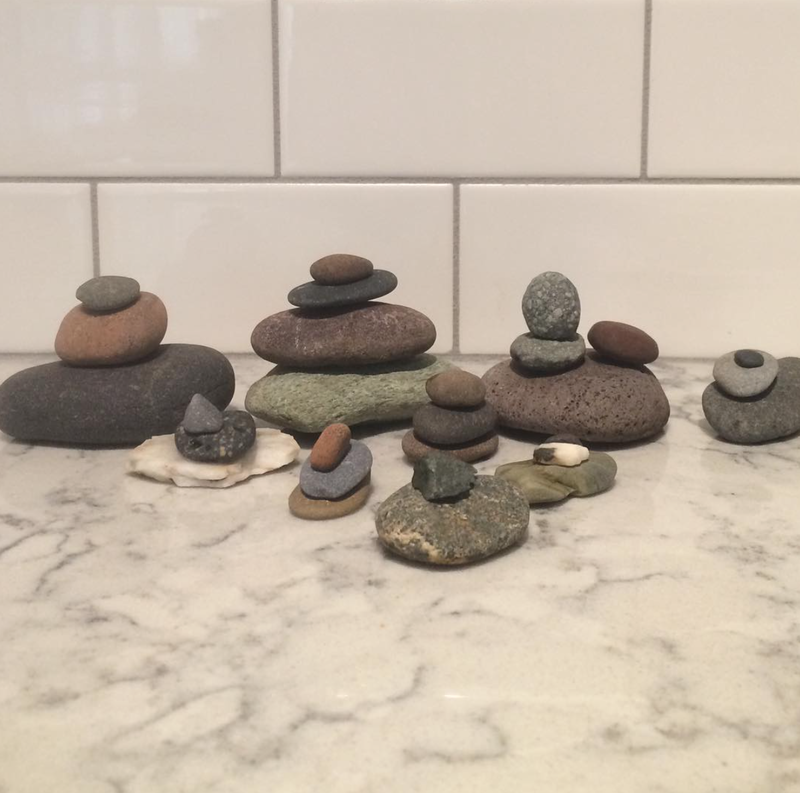 Nature makes us use our imagination: we can tear two holes in that fallen leaf and make a mask...we can chalk on that rock that is shaped sort of like a fish, we can make rock art sculptures by stacking. I collect pinecones, rocks, sticks, acorns, chestnuts, etc. 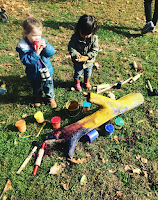 and use the materials in art, sensory activities, games, and decorations. 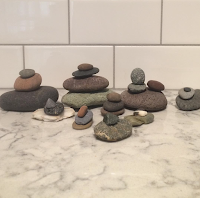 My husband calls my hoarding "Nature's Michael's"
Nature makes us resourceful: What can we do with these cute little acorns? How about we make a shaker? Thank you Tinkergarten for filling a void in this world and doing it with a true passion for children and education and respect for nature's gifts. 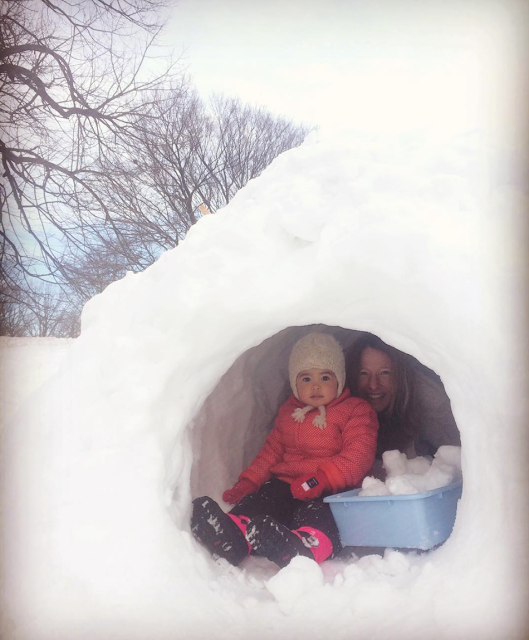 I'd also like to give two other outlets honorable mentions in the early childhood learning department. 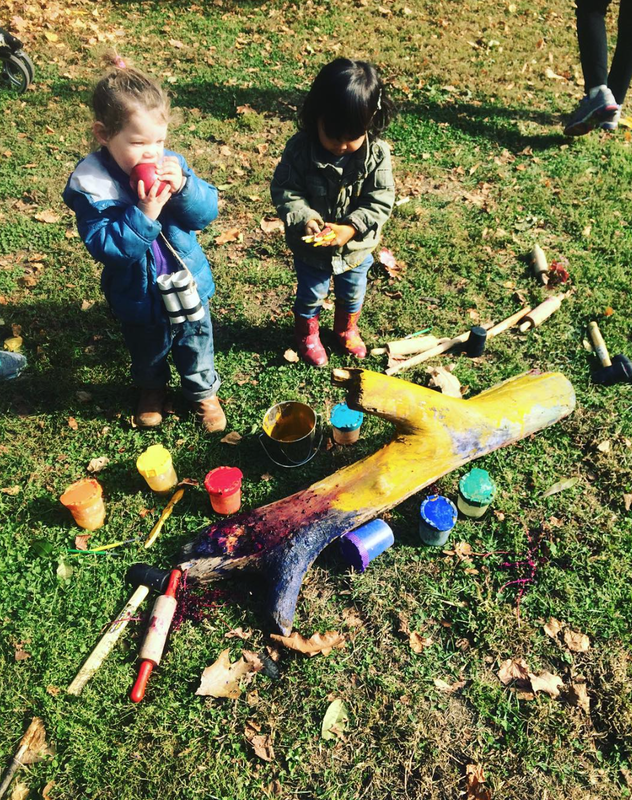 The Artful Parent is a website that creates and curates ideas for arts and crafts for children of all ages. 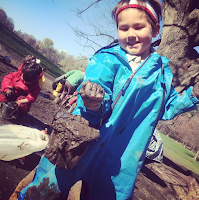 This blog also values the materials found in nature, so I often pair ideas from this site with ideas I've gotten from Tinkergarten. There are many websites I like for art ideas, but The Artful Parent stands out as one that is consistent. If I'm looking for a craft, I know I'll find one there without looking too hard. As importantly, the writer's genuine love for what she does and dedication to art for children comes across in every post. 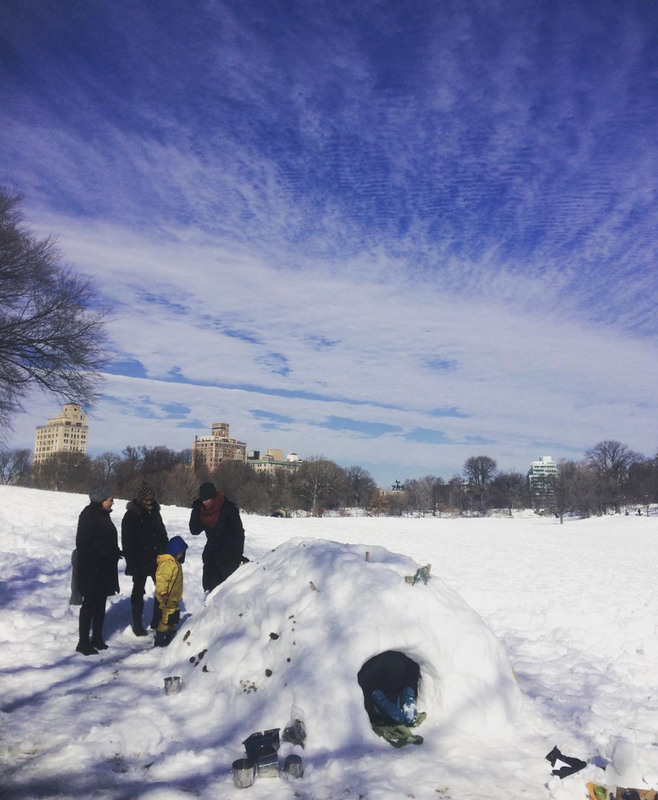 The site The Kids Should See This is an educational resource I'm starting to value more as my 5-year old now has more sophisticated questions about the world around him. I happen to know the woman who runs the site, but I haven't talked to her since she started this cool site a couple of years ago. In addition to watching all of the videos The Kids Should See This has linked to about nature and space, we mined the excellent gift guide last Christmas and this Christmas for smart and fun gifts. This site is an internet treasure. I also want to give a shout out in the nature department to Claudia Joseph, the gardener at Old Stone House and someone who has taught our family a lot about appreciating nature. 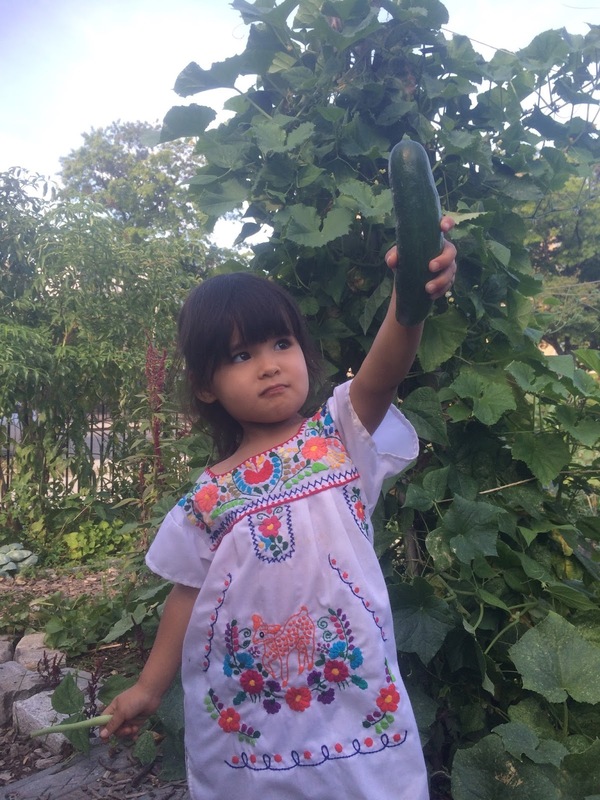 My kids and I have been volunteering at the gardens at the since the spring of 2014. 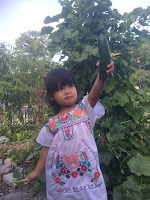 After I read the life-changing Omnivore's Dilemma and through which I discovered the wisdom of Joel Salatin, our family began the important journey of eating real food. 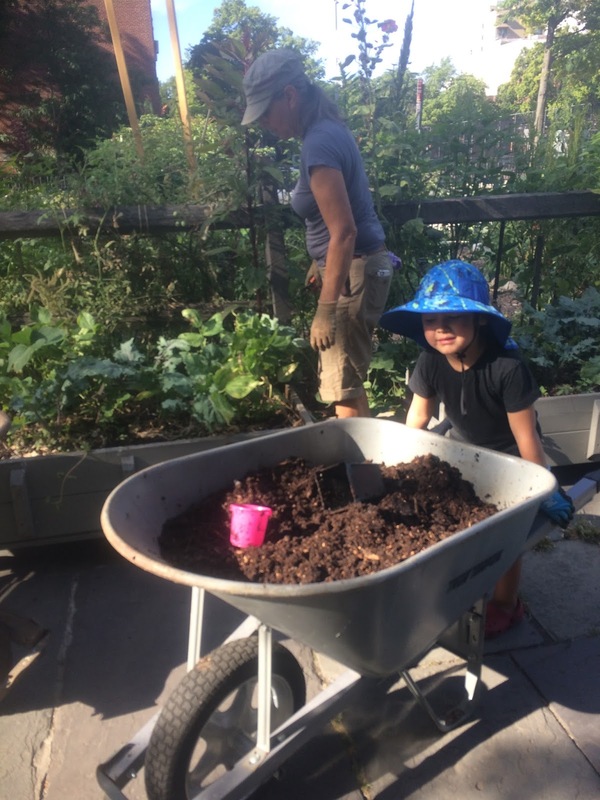 I felt that part of eating real food is showing my kids where real food comes from and how it's grown, so I tracked down the person who runs the gardens at Old Stone House and found Claudia. We started working once a week at the gardens when Charlie was 6 months old (I wore her in a carrier) and Greyson was 2.5 years old. 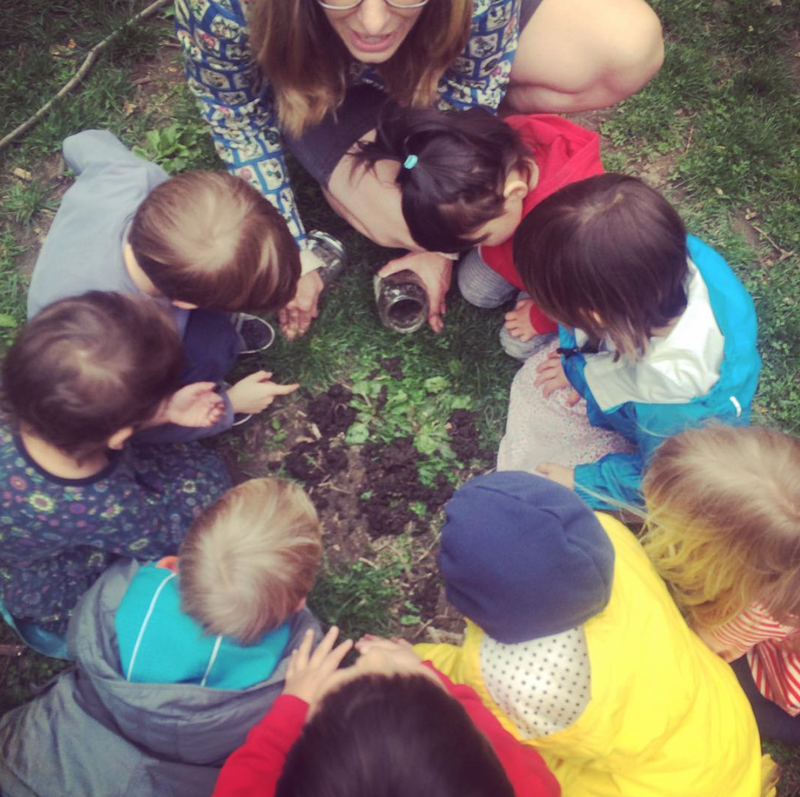 My kids won't have ever remembered a time in their lives when they didn't help compost or help grow food or get their hands dirty to plant bulbs and pull weeds. Volunteering in a garden has been priceless education and I highly recommend it. Nature, art, play, learning...when these things connect, magic happens in our family. I'm thankful this holiday season for these people and businesses.